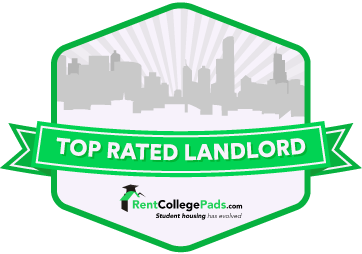 How do you choose the best landlord in Columbia? Can you talk directly to the landlord, the manager/owner before you lease, or only to a management employee? Who sets policies, local management or anonymous management in some distant state? Can you pick up the phone and talk to them? Will they listen if you can reach them? Before signing a lease, do due diligence: ask around, talk to tenants, get management references, check the management’s record with your friends, classmates and colleagues. Getting a bad landlord can really mess up your life. When you rent from Denice.com–Warnken Properties you will know personally the managers/owners–Denice and Wendy Warnken–and you can reach them 24/7 via e-mail, leave a message on their answering service, text them or talk directly to them anytime during the working day. They are always available to answer questions, resolve issues and listen to you. And, we are recommended by our residents–the finest compliment any landlord can receive. Our hallmarks: excellence, pride of ownership, absolute integrity. We own the property we manage, and we are committed to premium units and the highest standards of professional management. We have no application fees or commissions. You work directly with the owners-managers of Denice.com – Denice and Wendy Warnken. That is really important. If you have a problem, there is no hassle, no run-around: call us and we take care of it. Our properties are approved and certified by the City of Columbia following rigorous inspection. All of our units are meticulously maintained and maintenance requests are promptly and professionally serviced by our full-time staff. Our Fall Rental Guide is available at our office at 1410 Ross Street, Suite E. The guide information is similar to that on this website, but if you would like a copy let us know and we will be happy to mail one to you. To better serve you, we maintain a First Call List for undergrads. If you want to be sure of getting one of our premium units, ask us to be put on the First Call List. You will be given first priority to see and rent the unit you want. E-mail us [email protected] or call us 24/7 at 573.445.1892. During regular business hours text/call Wendy at 573.808.4342 for information and a showing appointment.